Former UFC lightweight and welterweight champion BJ Penn (16-10-2) will return to the octagon this January in Phoenix, Arizona. UFC officials just announced that Penn will be squaring off with Yair Rodriquez (9-1 MMA) in the main event of UFC Fight Night 103 which takes place January 15 at Phoenix’s Talking Stick Resort Arena. The event will air on Fox Sports 1 following the early prelims on UFC Fight Pass. “The Prodigy” was last seen in action at the ‘TUF 19 Finale’ in July of 2014 where he suffered a TKO loss to former UFC lightweight champion Frankie Edgar in a bout that served as his featherweight debut. The UFC Hall of Famer has stated that he is planning on making a run at the promotions 145-pound title. BJ’s most recent victory came over fellow UFC Hall of Famer Matt Hughes at UFC 123 by way of first-round knockout. Thirteen of Penn’s sixteen career victories have come by form of stoppage (submission/KO). 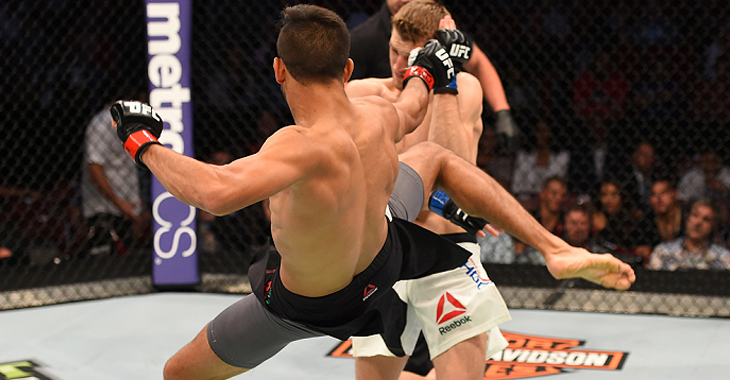 Meanwhile, Yair Rodriguez was last seen in action at August’s UFC Fight Night 92 event, where he earned a thrilling five-round split-decision victory over Alex Caceres. Prior to that, Rodriguez had scored a highlight reel head kick knockout victory over Andre Fili at April’s UFC 197 pay-per-view event. “Pantera” has gone 5-0 since debuting in the UFC back in November of 2014. Penn was expected to make his octagon return against former UFC featherweight title challenger Ricardo Lamas at last month’s scheduled UFC Fight Night 97 event. However, due to an injury suffered in training camp, “The Prodigy” was forced to pullout of the contest and October’s UFC Manila event was later cancelled entirely. Penn’s withdrawal from the slated scrap with Lamas marked the first-time in the UFC Hall of Famer’s illustrious career that he had pulled out of a fight with an injury. Tickets for UFC Fight Night Phoenix will go on sale later this month. The card will be televised on FOX Sports 1.
Who would do you think will emerge victories when Yair Rodriguez and BJ Penn throw down in Phoenix this January? 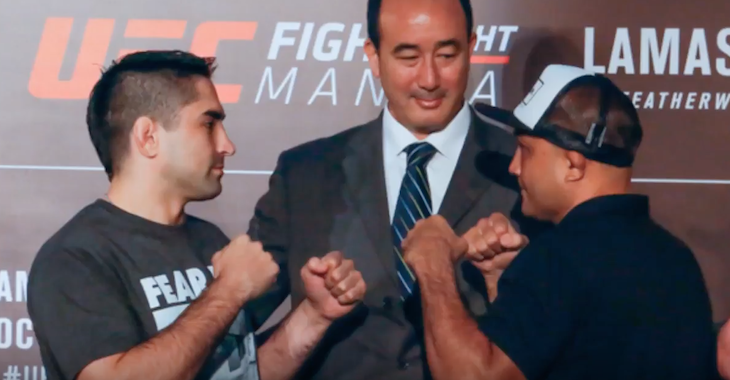 Former UFC lightweight and welterweight champion BJ Penn (16-10-2) was expected to make his octagon return against former UFC featherweight title challenger Ricardo Lamas at last month’s scheduled UFC Fight Night 97 event. According to BJPENN.com’s Chris Taylor the Hawaiian legend is back in the gym and aiming to return at January’s newly announced UFC Fight Night event in Phoenix, Arizona. I just spoke with BJ Penn who told me that he is back in training and aiming to return at January's UFC Fight Night event in Phoenix. Who would you like to see the former two-division champion BJ Penn square off with this January 15 in Phoenix? How do you feel about the card’s cancellation?